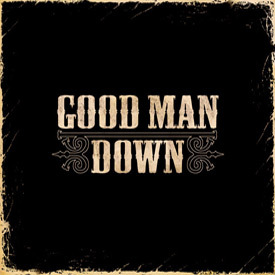 Good Man Down was born on a hot summers day in 2006 when long time friends Dennis Hill, Steve Garvy, Kevin Baldes, Kyle Homme and Kenny Livingston gathered informally at Homme’s recording studio in Fullerton California to play some songs together. What began as a casual afternoon jam session, quickly turned into an all night affair that was ultimately the inception of Good Man Down. "It just kinda happened" recalls singer, Dennis Hill. "The music really found us in a way. The five of us are all big fans of great American bands like Tom Petty, The Eagles, John Mellencamp, Credence, etc…We were all talking and wondering why there aren’t any new bands making this kind of music now. You just don’t hear it anywhere. To us, American music was missing something". That standard of timeless American Rock is what the band found them selves naturally churning out. Since that fateful summers day, the band has evolved into a flourishing national act, all without the aid of a record company or radio airplay. Armed with only their recorded music and spirited live show, Good Man Down has attracted a large and loyal following as well as being invited to share the stage with such international artists as: The Zach Brown Band, Toby Keith, Trace Adkins, Jamey Johnson, Randy Houser, Jason Aldean, Pat Green, Josh Gracin, Lee Rocker, Squirrel Nut Zippers, Social Distortion, Supersuckers, Lit, Halfway to Hazard, Trent Willmon, Wynn Varble, and more. Good Man Downs first release, their 2008 self -titled CD, which was written, recorded, mixed and released solely by the band, has received much critical acclaim from both their peers and the press. The music clearly reflected the bands various influences from rock to country to the 70s & 80s radio hits that had been part of their youth. "There was a lot going on in all of our personal lives right then and we were all going through it together. It really came out in the songs" recalls guitarist Steve Garvy. They are about love and about life, both happy and tragic." 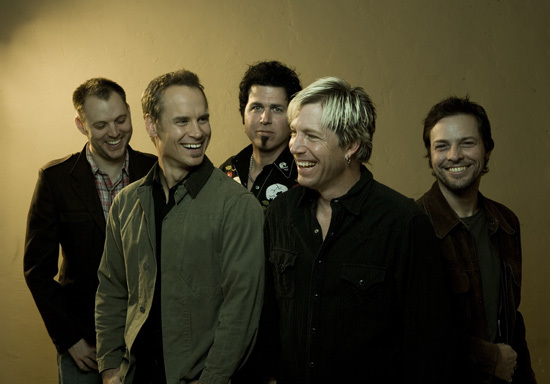 In the fall of 2008, long time friend and guest musician on GMD’s first CD, Jason Freese(Green Day, Jewel, Goo Goo Dolls), approached the band about penning the title track for a Bull Riding documentary he was scoring at the time entitled "This Is Not A Rodeo." The documentary has appeared at many high profile film festivals around the country and in November of 2009 was premiered at the PBR National Finals in Las Vegas where Good Man Down performed live along with two time world bull riding champion turned singer, Justin McBride. The "This Is Not A Rodeo" track has now made its way to the PBR live circuit as the opening music for each event. Good Man Down also attracted the attention of legendary Nashville producer Blake Chancey (Dixie Chicks, Waylon Jennings, Little Big Town) in 2009 with their song "Welcome To The Party". Chancey brought the track in to highly acclaimed recording artists Montgomery Gentry who promptly recorded it for a forthcoming release. 2009 also found Good Man Down writing and recording material for their second release due out sometime in mid 2010. "The songs on this album really reflect how we have grown together as a band" says bass player Kevin Baldes. "2009 was another crazy year for all of us and the gamut of emotions can be felt and heard in these tracks. We approached this record with a more live and raw recording process and it captures the sincerity and emotion that got poured into each one of these songs." The band plans to tour the better half of the year upon the release of their new CD.